Everyone knows that the people of Ireland are great for telling a story. 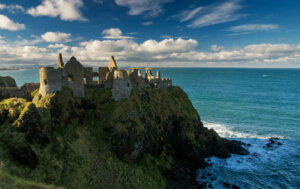 From funny anecdotes told by the warmth of an open fire, to thrilling stories of ancient lore, the island of Ireland is known for its long tradition of spoken word. And it’s this innate ability to turn a phrase that has gifted the world many great writers. For centuries, plays, satires, novels, poems and lyrics have fed the world’s imagination. You’re invited to follow in the footsteps of Ireland’s great wordsmiths and storytellers – and perhaps be inspired yourself! This UNESCO City of Literature has nourished and challenged writers for centuries. Few artists map out their home quite as clearly as James Joyce. In Ulysses, you can literally follow in the footsteps of his hero, Leopold Bloom, as he strolls around the city. 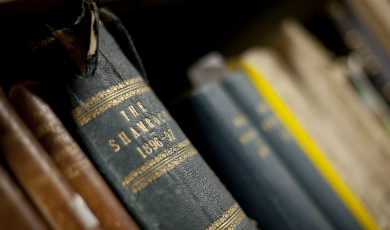 Be sure to drop into the James Joyce Centre – a beautifully restored house that explores Joyce’s works. Take a walking tour and visit Joyce’s Talking Statue, scripted by Dublin writer Roddy Doyle and voiced by actor Gabriel Byrne. 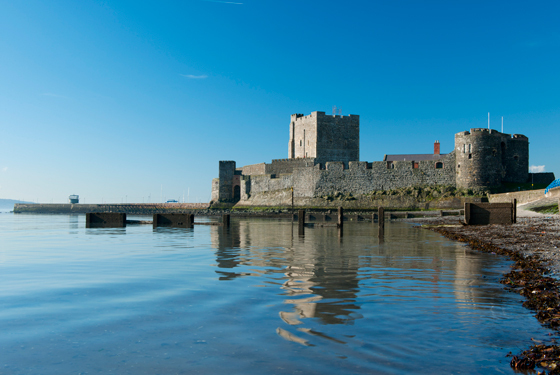 And stand in the spot where the novel began with a trip to the seaside town of Sandycove to explore The James Joyce Tower and Museum. 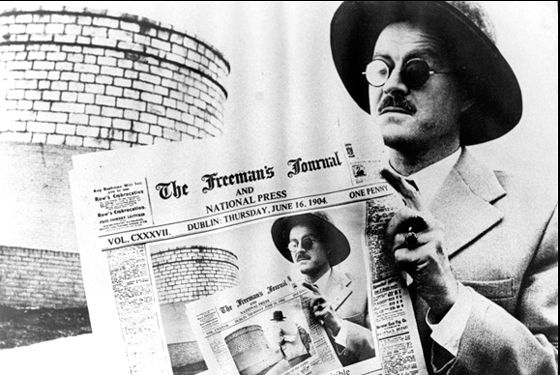 Each June the city revels in a week-long celebration of Joyce’s work, culminating in music, costume and performance on Bloomsday (June 16th) – the date depicted in his masterpiece, Ulysses. 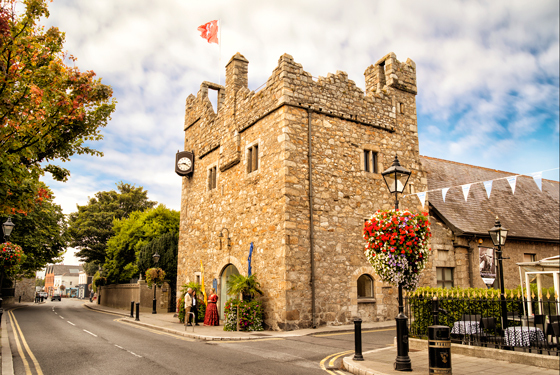 The southside village of Dalkey is worth a visit in its own right, but you’ll find that fans of author Maeve Binchy are some of the most frequent visitors to this charming heritage hotspot. Binchy lived here for much of her life and she adored it. Be sure to take the Famous Irish Writers walk from Dalkey Castle and Heritage Centre, visit the garden dedicated to her at Dalkey Library and see her house on Sorrento Drive. After your day exploring, take a load off at Finnegan’s, where Binchy often ate lunch. Looking for a new novel? 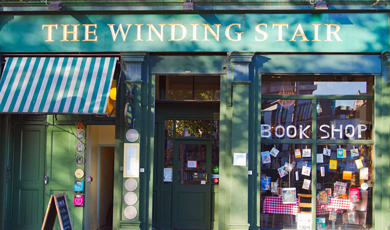 Be sure to browse the Gutter Bookshop, a cosy spot near the local train station. For four days in June, the Dalkey Book Festival takes over local pubs, cafés and parks, welcoming internationally renowned writers for talks and performances. Flamboyant and courageous, Oscar Wilde started on his glittering path from No 1 Merrion Square, where his brilliant and eccentric parents invited many a fashionable character to their salon for gatherings and parties. Take a walk around the square, which is largely unchanged since Wilde’s day. 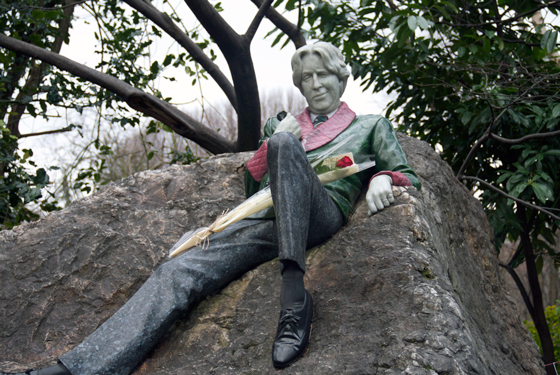 Take a stroll through the lush expanse of Merrion Square, where you’ll find the “talking statue” of Wilde himself, sprawled on a rock. Award-winning author John Banville wrote the homage to Wilde, which is narrated by Sherlock actor, Andrew Scott. Stop by the Dublin Writers Museum. This magnificent Georgian house holds a host of fascinating letters, beautiful portraits and insightful details on the city’s literary giants. Beneath this sophisticated Georgian city, you’ll find a touch of the supernatural – such as the mummified bodies at St Michan’s Church. However, no character in literature embodies that mixture of urbane glamour and hidden horror like Bram Stoker’s gothic novel: Dracula. Stoker was born in Clontarf and lived on Kildare Street. 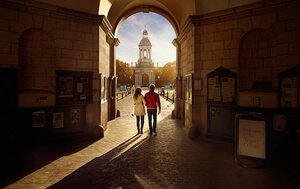 Visit Trinity College, where Stoker studied, and explore the history of Dublin Castle, where he worked for many years. For a real fright night, hop on the train to the town of Clontarf and explore the writer’s dark world at Castle Dracula. There’s also a Bram Stoker festival, around Halloween (of course). 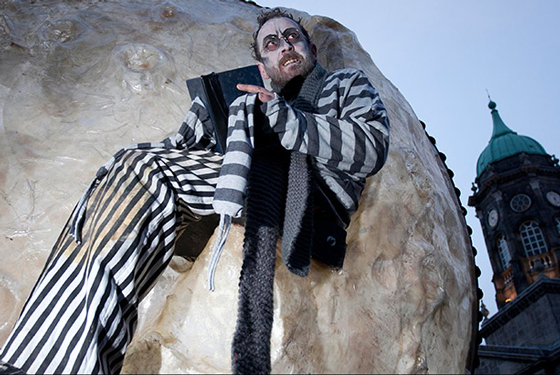 Every Halloween, Bram Stoker Festival fills the streets of Dublin with spooky storytelling, ghostly parades and thrilling graveyard walking tours. The misty woods, mountains and lakes of Northern Ireland have sparked the imaginations of many wonderful wordsmiths. 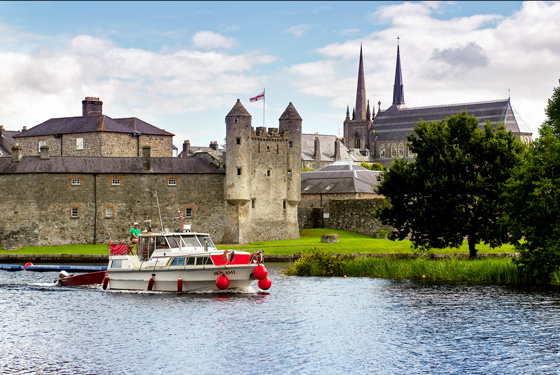 Beside Lough Erne lies the town of Enniskillen, where Samuel Beckett attended Portora Royal School before becoming one of the most famous and inventive writers in the English language. He won a Nobel Prize for his wit and innovation, and it’s here you can see where the young genius honed his talent. The town celebrates its famous alumnus with an annual festival of talks, plays, readings, music and exhibitions, taking place across the town and the surrounding countryside. Another writer rooted to the land that bore him, Heaney grew up on a farm just outside the village of Bellaghy in County Londonderry. He won a scholarship and moved away to school, but his childhood memories feature strongly in his poems – a testament to his humble nature. 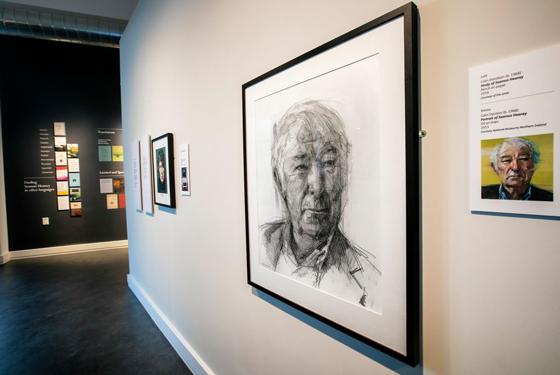 Now buried in the churchyard here in his hometown, admirers of his work can visit Seamus Heaney HomePlace – a purpose-built arts and literary centre, which has a permanent exhibition of family artefacts and a recreation of his study. For a real treat, listen to the words of Heaney narrated by the voice of actor Liam Neeson in this lovely video that celebrates this beautiful exhibition. Visit the Heaney Exhibition in Dublin, where original manuscripts, notes, unpublished works and diary entries give a glimpse into the poet’s inner world. 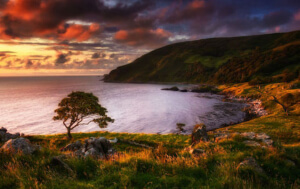 Borne from the mind of author CS Lewis, the magical land of Narnia was inspired by the epic landscapes of the Mourne Mountains, Tollymore Forest Park and Carlingford Lough. 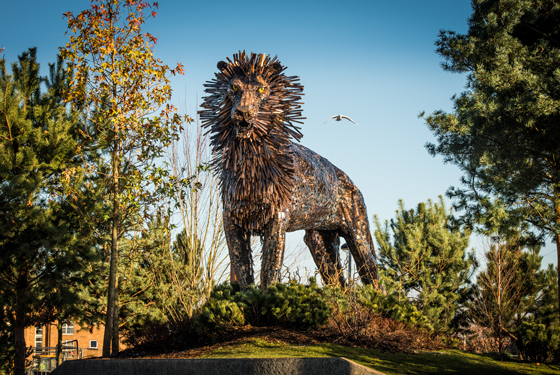 The Belfast-born writer is celebrated throughout the city, where fans can walk the self-guided CS Lewis Trail from outside Holywood Arches Library, and wander through the magical CS Lewis Square – filled with statues of his fabulous characters. If you visit in October, you’ll catch the three-week Belfast International Arts Festival, packed with dance, literature, music, theatre and art. Call in to the Linen Hall Library, the oldest library in Belfast. Founded in 1788, this beautiful building is home to a wonderful collection of books by and about CS Lewis. Jonathan Swift is most famous for writing Gulliver’s Travels, but in fact wrote dozens of satirical pamphlets and books. 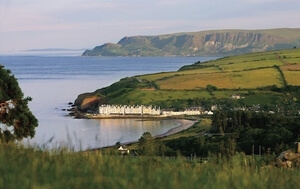 The young clergyman was offered a living in the town of Kilroot near Carrickfergus. He read voraciously and wrote his Tale of a Tub while here. He later moved to a parish near Trim in County Meath, before becoming Dean of St Patrick’s in Dublin. Outside Belfast, the silhouette of Cave Hill is said to resemble a sleeping giant, little wonder then, that Swift used this as inspiration to create the character of Gulliver in his more celebrated novel. This rugged landscape gets into the soul and under the skin, colouring the work of artists and writers forever. For many, Yeats was the voice of Ireland as it moved towards independence, and his memory is honoured in his home county of Sligo. Prepare for a night of taste explosions and quality entertainment in Broc House at the Yeats Dining Experience, where foodies Damien Brennan and Paula Gilvarry pair fine foods with poetry. Then check out the classically restored charm of Lissadell House, where he befriended Constance Gore-Booth, later Countess Markievicz. 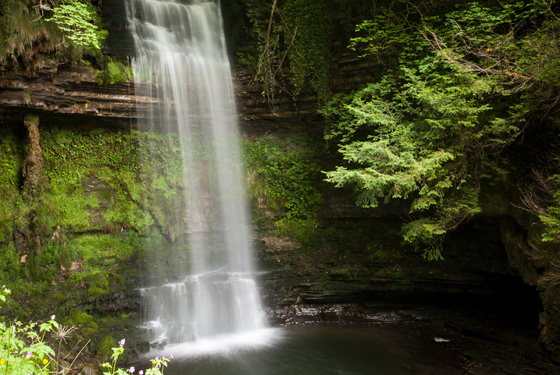 For stunning nature trails, follow the walkway around Ben Bulben, walk by the lake to Glencar Waterfall and visit the poet’s grave at Drumcliffe. Taking place every April, Cúirt International Festival of Literature explores the world of poetry and prose from national and internationally acclaimed writers. Galway city comes alive with spoken word performances, exhibitions, master classes and inspiring talks. 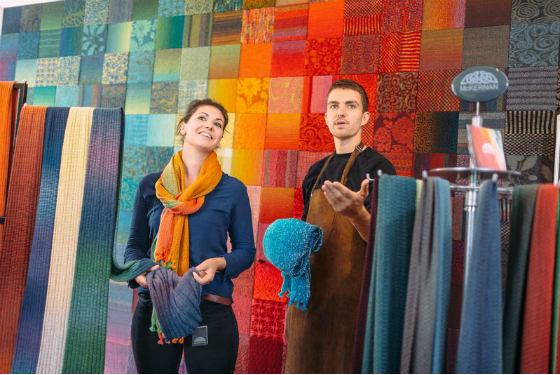 You never know – you could end up rubbing shoulders with Nobel Prize winners or Poet Laureates as you stroll the city’s friendly streets! 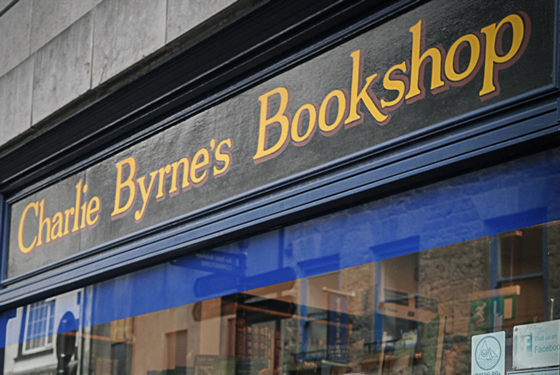 Make a stop at Charlie Byrne’s bookshop in the centre of Galway. This bookworm’s heaven is home to thousands of new, bargain and second-hand books. Limerick has changed a lot since Frank McCourt’s childhood, which was so powerfully captured in his memoir, Angela’s Ashes. Now a buzzing, happy city, Limerick’s landmarks are still there. 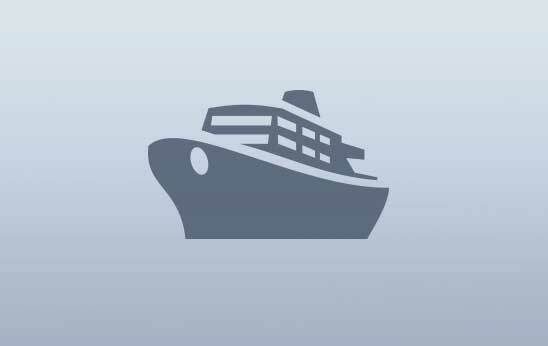 Get under the skin of the city with the Angela’s Ashes Walking Tour. It starts at the Limerick Tourist Office and goes through the laneways, parks and squares that McCourt once wandered, including the street where he lived and the school he attended. If you can, check out the Limerick Literary Festival (February) for more bookish delights. A ramble around the Hunt Museum is time well spent! Here, you’ll find an extraordinary collection of ancient artefacts, early Christian objects, paintings, ceramics and glassware. Famous for so irritating the authorities that they banned her books and denounced her from the pulpit, Edna O’Brien’s work has played a huge part in changing Irish society. Her first book, The Country Girls, shocked her home village of Tuamgraney – indeed all of Ireland – but it was the first novel to lift the lid on a social issues in society. She is still writing, and you can find a plaque honouring her outside Drewsborough House where she was born. Tuamgraney is also home to St Cronan’s, the oldest church holding continuous services in Ireland. Legends, wonders and boundless green field full of ancient secrets: this is a land built on stories and astounding history. A brilliant writer of short stories and plays, as well as six full-length novels, John McGahern drew on his experiences growing up on a farm near Ballinamore in County Leitrim. His depiction of Irish life proved controversial at first, but also won him international acclaim. 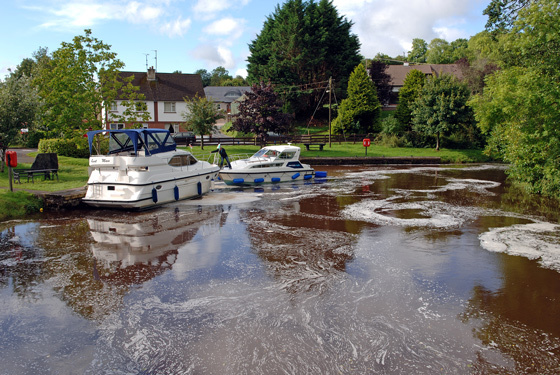 Walk the beautiful Ballinamore Trail along the Shannon-Erne and around its pretty village, where you’ll come across key locations from the young McGahern’s life. Glenview Museum in nearby Aghoo has some lovely McGahern memorabilia on display. This ancient landscape has been occupied for at least 5,000 years, but its most famous recent inhaitant is 20th century poet Patrick Kavanagh, who immortalised the landscape and folklore of the region. The Patrick Kavanagh Rural And Literary Resource Centre in Inniskeen is the place to find out more about this wonderful writer. 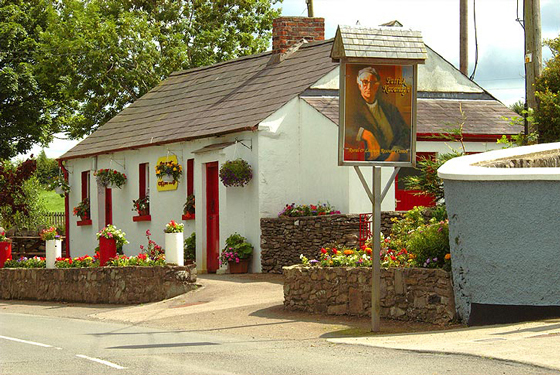 You can take a tour from the centre, or pick up a Patrick Kavanagh Trail Guide to visit sites from the poet’s life here. It’s hard to name a form of writing that Colm Tóibín hasn’t made his own. Born in Enniscorthy, his work spans novels, short stories, essays, plays, journalism and poetry. 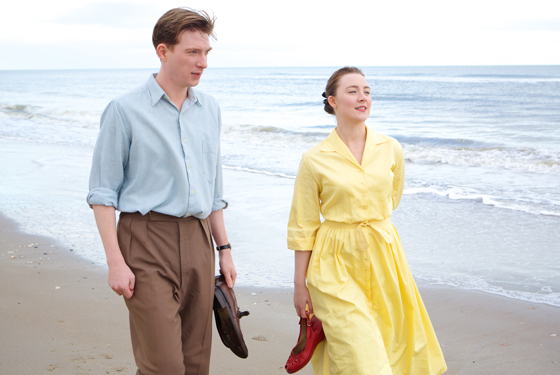 It’s no surprise that his sisters and aunts inspired much of his work, including the novel and acclaimed movie, Brooklyn. The film was shot here, and you can visit the locations on the Brooklyn Movie Bus Tour (or try it on foot). You might even spot some of the cast – locals were hired as extras! Enniscorthy has played an important role in Ireland’s history. 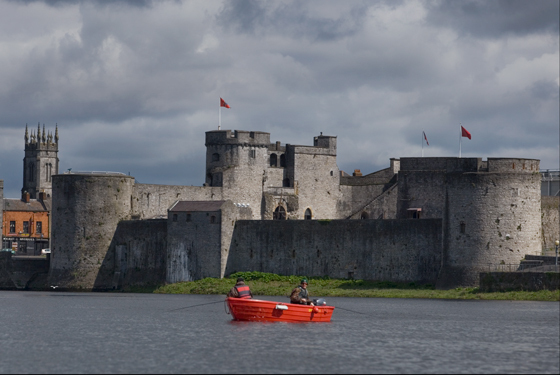 Visit the castle, which dominates the town, and see the National 1798 Rebellion Centre. Although she was born and lives in Lismore, in County Waterford, you can’t call Dervla Murphy a homebird. After nursing her ill mother, Murphy got on her bike and followed her dreams, becoming a world-famous travel writer and cyclist. Her first book Full Tilt: Ireland to India with a Bicycle was published in 1965, and the Lismore Immrama Festival of Travel Writing, held every June, is a good way to catch up with her. 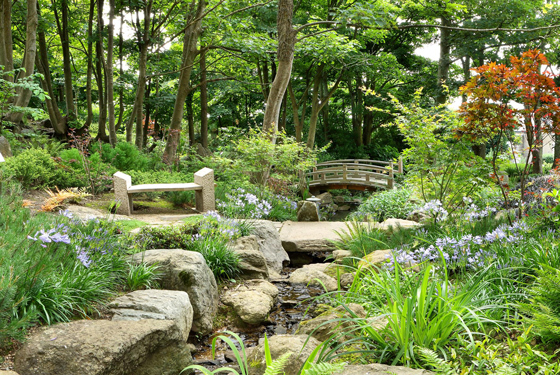 Head to the Lafcadio Hearn Japanese Gardens in Tramore. 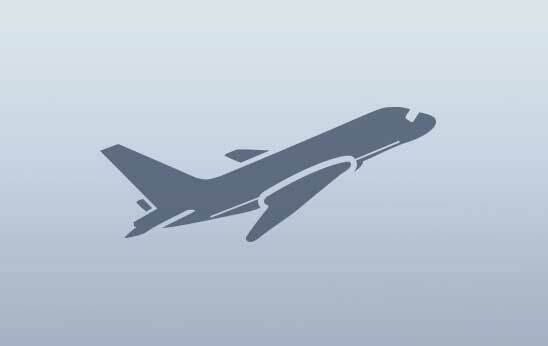 The writer spent her childhood in this town before embarking on her career. With hidden gems like these dotted all over the city, it is no wonder Dublin is a UNESCO City of Literature. Think you know your novels from your love notes? Your Heaney from your hearsay? Test your literary knowledge with this fun quiz. Fan of the arts? 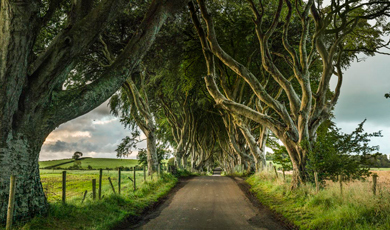 Check out Ireland's connections to Hollywood with everything from filming locations to our biggest movie stars.